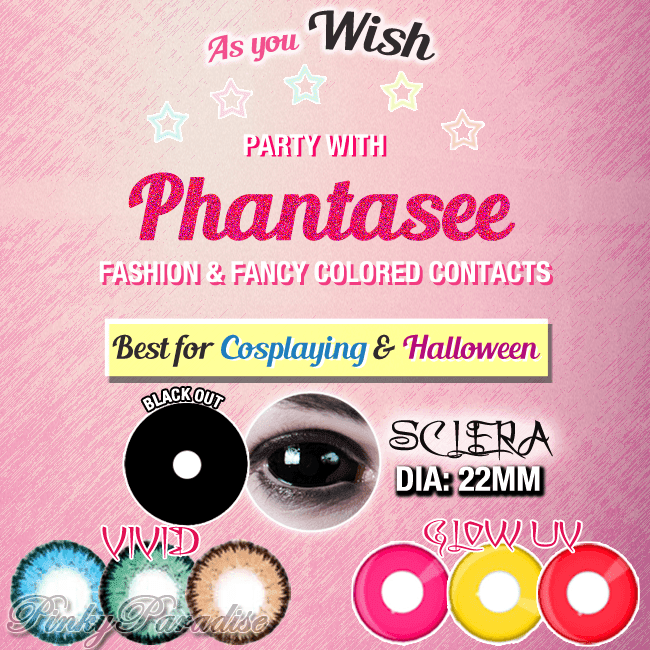 PinkyParadise bring to you three new fashion and fancy colored contacts from Phantasee series. Sclera lenses come out with 22.0mm in diameter which is big enough to scare your peers. All three series including Glow UV and Vivid are best to fit in your cosplay and halloween costumes. Hurry up!! Come and get it here now.